The Ministry of Defence (MoD) has set-up the Innovation and Research Insights Unit (or IRIS for short), to potentially plough up to £800m over the next ten years into emerging defence technologies. It is expected that the funding will help spawn a host of new institutions that will be pioneers in defence technologies such as surveillance drones inspired by dragonflies, laser weapons, mobile robots that can inspect incidents involving chemical materials, sensors that use gravity to survey underground structures in minutes and virtual reality helmets to practice calling in simulated air strikes. 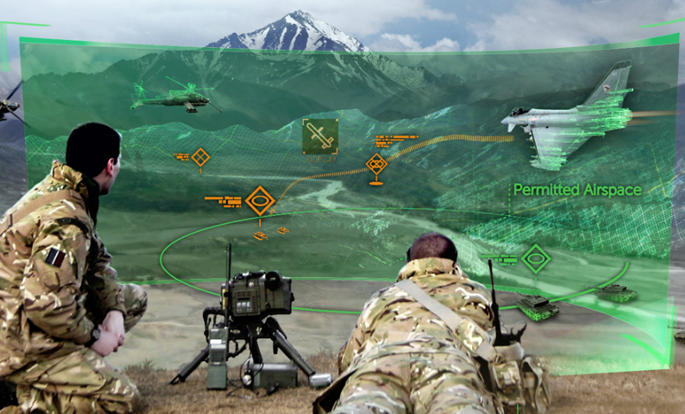 The aim of IRIS will be to anticipate emerging trends in technology and analyse the implications for UK Defence and Security, informing critical decisions to maintain military advantage and protect the UK. It will also target a change in the way the defence industry does business and challenge government to collaborate better with industry, academia and allies. The structure of IRIS will work very much like the BBC show Dragon’s Den, where individuals and companies will pitch to a panel with the more novel ideas being fast-tracked into development. Once strategy and investment decisions have been taken, a dedicated hub will act as a ‘defence and security accelerator’, ensuring that innovative solutions to the most pressing national security challenges are developed at pace to stay ahead of adversaries. Some of the projects already being worked on include a dragonfly-inspired drone from Animal Dynamics, a tiny UAV with flapping wings which uses micro-engineering technology. The MoD hope that the drone will play a vital role in intelligence gathering in complex urban environments. The design of the drone is small enough to allow it to fly into difficult-to-access areas and gather information for troops without endangering life. 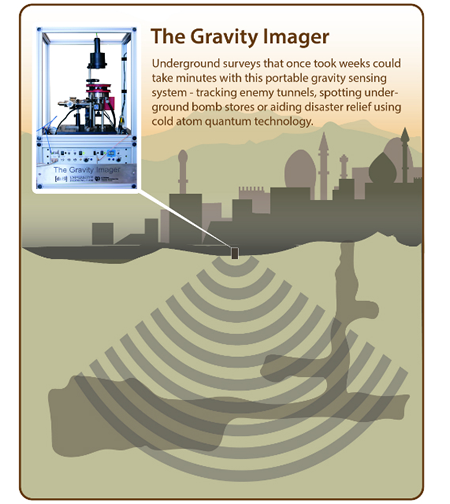 Another innovation is the Quantum Gravimeter which uses cold atom quantum technology and two gravimeters coupled together to allow for higher sensitivity and reliability when carrying out surveys, drastically reducing measurement time. The device will potentially be able to survey underground structures in minutes, meaning the UK’s armed forces will be able to spot enemy tunnels much more easily and effectively help during disaster recovery. The department has also launched a new competition with the Home Office to challenge industry to design unmanned systems – robots and aircraft – that can assess hazardous scenes, such as sites contaminated by chemical and biological hazards.